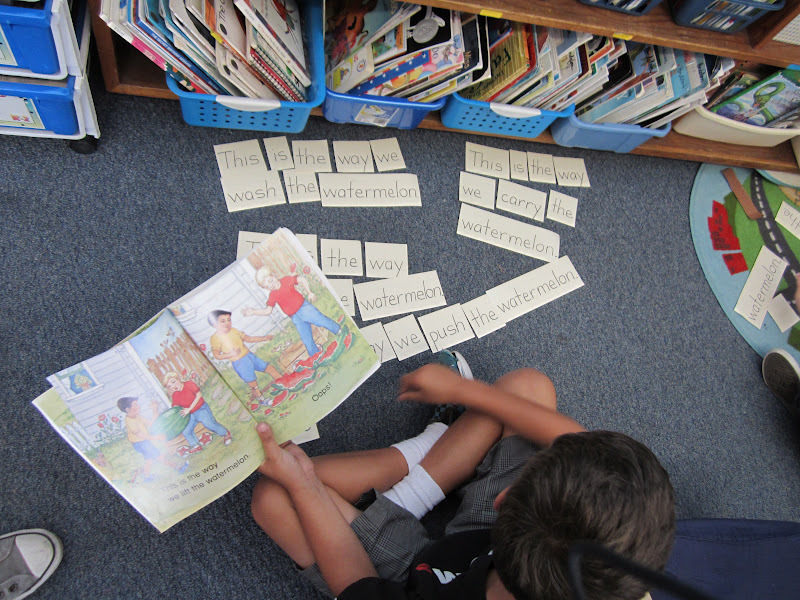 Teacher Bits and Bobs: Book Match Literacy Center! I have a little something to share today that is EASY PEASY LEMON SQUEEZY to make, and my kids ABSOLUTELY love doing (both Kinder and First Grade)! I call it "Book Match", but really what a boring name! I have never been able to think of a more clever name for it, but anyways, all this center requires are emergent readers (with 1-2 sentences per page), sentence strips, and gallon size Ziploc bags! Okay, all you need to do is write out the story on sentence strips, cut the words apart, and store the words and the book in a large ziploc baggy, labeled with the name of the book on it, of course. During centers, my kidlets work in pairs to put the story back together correctly. I used this center ALL THE TIME in Kinder, and it is perfect for the beginning of First Grade too! I don't even laminate mine, I have used these for years and they are still in perfect condition! Another thing I have is varying levels of books for my different levels of students. Some of my books are VERY basic with only 1 sentence per page, and others have 2 longer sentences which makes it MUCH more difficult because there are so many more words to sort and put in order. 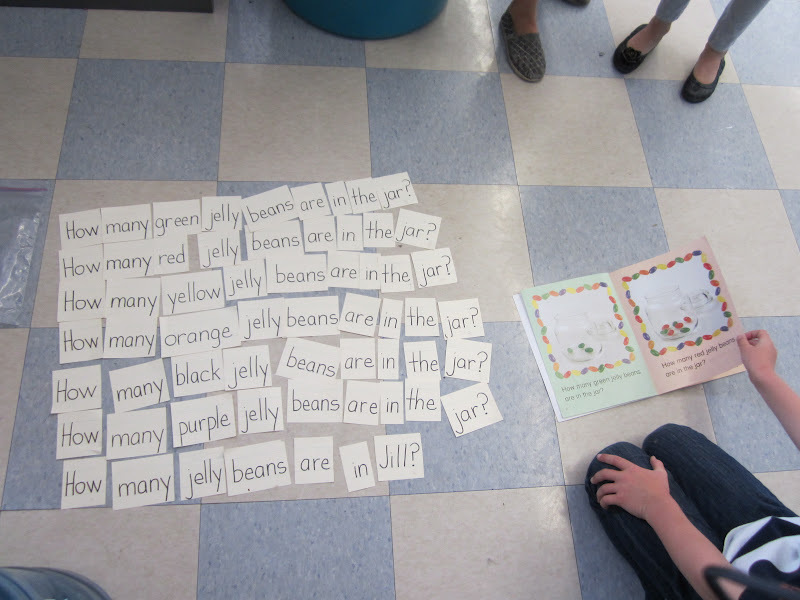 In Kinder, I taught my kids to sort their cards by word, especially if the books are predictable, and this helps them manage all of those words cards. In First Grade, I let them just go for it, and use whatever strategy they want to! I have used Sunshine books, Phonics and Friends books, and the Phonics Readers from Houghton Mifflin for this center, but really ANY emergent readers that have predictable text would be PERFECT, so get crackin' friends! 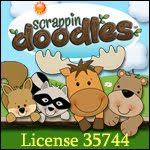 Your kiddos will LOVE LOVE it, and this costs you NADA! I love this idea! Sometimes the most simple things can have a big impact! I like to have centers that I don't have to go buy cutesy stuff for and just use things that I already have!! Thanks for sharing...I will definitely use this one! Such a great idea! I will be doing this at the beginning of first grade this year. Thanks so much for sharing! What a great idea! Why didn't I think of that?? ;) Thanks for sharing! That is a wonderful idea! I can't wait to add this to my center time! Thanks for sharing! Love this! They need something to do at the reading center, especially when they can not yet read. Pinning it! LoVe It! How fun and easy! I am definitely going to pin and add to my list! I also love how it can so easily be differentiated! Thanks for sharing! I do this alot for one sentence, but I never thought of giving them the WHOLE book! Thanks for the inspiration. This is a super idea for building sentence schema!!! I know what you mean about those yoga pants. I think it's because yoga is expensive to practice so the attire should be too!!! ;) Love your blog. Found you through pinterest! I am a new follower! I LOVE this! Such a great way to work on sentence structure. Thanks for this great idea!! Great idea! I keep a notebook of ideas I want to remember, with the name of the blog I found it on...this is already recorded. :) Thanks. FABULOUS idea! So simple, yet powerful. I'm giving you the Versatile Blogger award! Yea! It's fun to be honored with this. 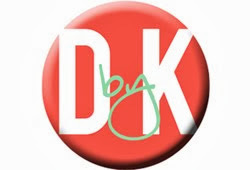 Stop over at my blog and you'll see how to pick it up! I love this! Thanks for sharing with us! I also use this as a Literacy Workstation in my classroom. If you are looking for a fast way to accomplish the same thing, I simply type out the text to each book on the computer and then print, laminate and cut apart the words. That way I can even use this technique during guided reading, making multiple copies of the same text in a really quick way!